Back in January 2018, the Financial Times announced that Open Banking would be a “radical shake-up” to our personal finances. While the most eager of us predicted that it would revolutionise banking, make the system more competitive, and give customers access to better products, sceptics warned that it could cause problems with the security of private data. Until January 2018, our financial data was effectively owned by the banks. But under the new rules of Open Banking, the ownership of this data is transferred to the consumer – meaning that banks are now required to allow consumers to share their own data with third parties as they see fit. Nearly a year down the line, AccelerateWorks, a tech meetup sponsored by Blenheim Chalcot, hosted a dynamic discussion about the state of Open Banking today. We were joined by Mitul Sudra (CTO and Co-Founder of OpenWrks), Simon Vans Colina (Head of Open Banking at Monzo), and Caroline Ambrose (Open Banking Director at Barclays) – and they offered three very different perspectives on a year that has seen a major upheaval in UK finance. OpenWrks: ‘(CMA9) Banks are not tech companies’ One of the services that have been a precursor of the Open Banking movement and its implementation is OpenWrks – a technology company that enables consumers to share their data securely with businesses they trust. On 13th January 2018, OpenWrks were ready to plug into the banks’ APIs. They had spent 3 months building the OpenWrks platform with connectivity based on the Open Banking standard, but with little or no information from the banks on how they were planning to onboard and work with them to prove they had delivered conformant APIs. “We were building blind,” says Mitul Sudra, CTO and Co-Founder of OpenWrks. Connecting to the banks is made possible through APIs (or Application Programming Interfaces) – a type of interface that allows the server at one company to access information from the server at another company. These APIs allow us to share data safely and securely, without having to hand over a password. However, these APIs were often built on top of “legacy infrastructures” – where data had to be transformed through multiple layers which were piled on top of each other, so they could be accessed by third parties like OpenWrks. And the main challenge has been making old data play with new tech. “Banks are not tech companies,” chuckled Sudra: “In some cases we’d detect issues with the bank’s systems before the banks.” However, OpenWrks rose to the challenge. And what began as a tech journey has now become a mission to find out what Open Banking can unlock for consumers. As Mitul Sudra says, “Open Banking is a good thing for customers, because it really puts the power back with them. They get to control who they get to share their data with, what data they share, and how long it’s shared. 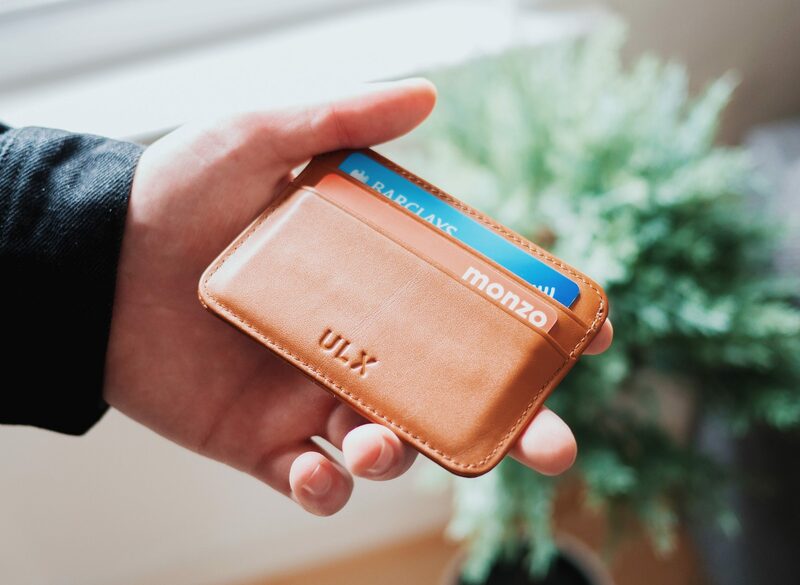 ” How Monzo have led the charge with Open Banking Another company that has fully adopted this tech-first ethos is challenger bank Monzo. Monzo were one of the first banks to launch their API on January 13th 2018, the day that the Open Banking regulations came into force. However, they were some of the only ones to do so. In fact, six of the major high-street banks, including Barclays and HSBC, managed to miss their deadlines for the initial roll-out. “We knew the rest of the banks were going to be late,” commented Simon Vans Colina, Head of Open Banking at Monzo. “So it was a bit of a PR coup.” Some of Monzo’s ideas may seem like the playtime project of a group of tech geeks (which Colina himself conceded) – and their innovation certainly hasn’t slowed down. Colina spoke passionately about the implementation of IFTTT at Monzo – a conditional coding system short for ‘If This, Then That’, which enables a user to create trigger certain actions. One customer set up their Monzo account so that every time they ordered Deliveroo, as a penalty, their phone would play Nickelback out loud on Spotify. At the heart of all this innovation is a simple idea: it’s not the bank’s data – it’s the customer’s data. And based on this logic, Monzo’s customers should be allowed to do whatever they want with it. However, Monzo’s success is down to more than just cool tech gimmicks. For a long time, banks haven’t been competing to deliver better products or lower prices – and customers are losing out. According to the Competition and Markets Authority (CMA), only 3% of people switch to a different bank each year. But now, banks like Monzo are offering some serious competition to major high street banks. What does the future hold? According to Ambrose, Open Banking will be an evolution, as well as a revolution. “I don’t think we should stop at Open Banking,” says Ambrose in an interview with Money Live. “There are much more fundamental things that we can do with APIs going forward – so that’s the technology I would really look out for.” Simon Colina, the Head of Open Banking at Monzo, follows the same line of thinking: “In the future, there’s going to be ‘smart bank accounts’ and ‘dumb bank accounts,’” he said at our event, “Open banking is a necessary first step – but it’s not sufficient to get us to that future.” As with the arrival of the internet itself, the benefits of Open Banking aren’t immediately obvious. It certainly hasn’t been a landslide change. And not everything is perfect yet. Nevertheless, the system has the potential to upend the way we bank.